Dubai-based flydubai today celebrated the arrival of its inaugural service to Mumbai. The route will further strengthen the relationship between India and the United Arab Emirates (UAE), while offering passengers greater choice and flexibility. Today’s announcement brings the number of cities the airline serves in India to seven and the number of weekly flights to the country to 25. 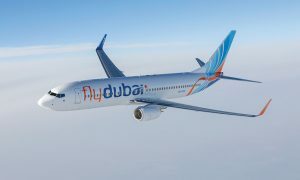 From the moment flydubai commenced flights to India in 2010, there was a strong appetite for enhanced connectivity. Four years later demand remains with passenger numbers from January to June this year up 12.3% on the same period in 2013 and this trend is set to continue. In 2013, India became Dubai’s top trading partner, with a trade volume of USD 37 billion. In August this year, Dubai International Airport recorded a jump in passenger numbers of 147,096 on the same month in 2013, making India the fastest growing source market for the UAE. 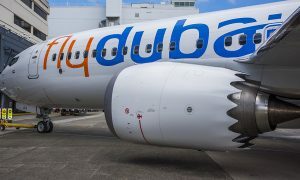 flydubai operates direct flights five times a week between Dubai International’s Terminal 2 and Mumbai’s Chhatrapati Shivaji International Airport. flydubai has a network of 86 destinations, of which 54 were previously underserved. Within India, in addition to Mumbai, flydubai operates services to Ahmedabad, Delhi, Hyderabad, Kochi, Lucknow and Trivandrum. Business class is available on flights to Delhi, Hyderabad, Kochi, Mumbai and Trivandrum. 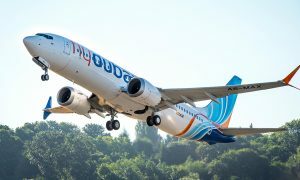 flydubai has a fleet of 41 new Next-Generation Boeing 737-800 aircraft and operates more than 1,100 flights a week across the Middle East, GCC, Africa, Caucasus, Central Asia, Europe and the Indian Subcontinent.